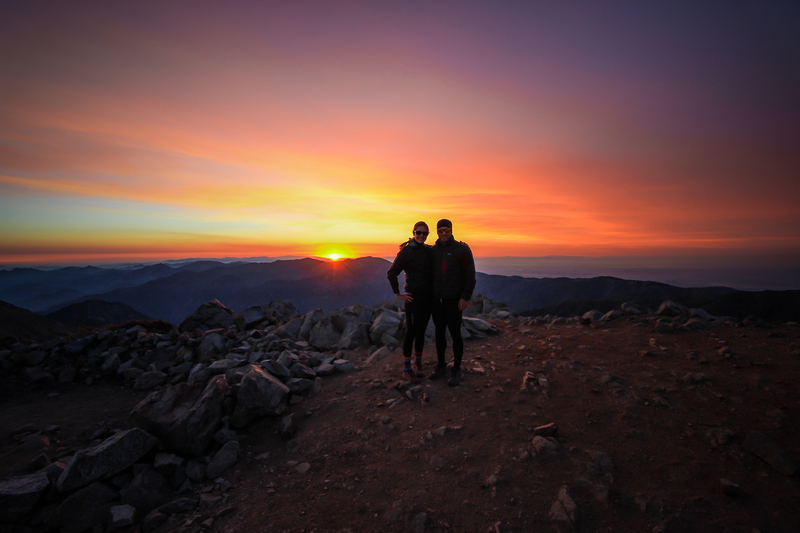 Last week we spent the night at the top of Cucamonga Peak for Summer Solstice. 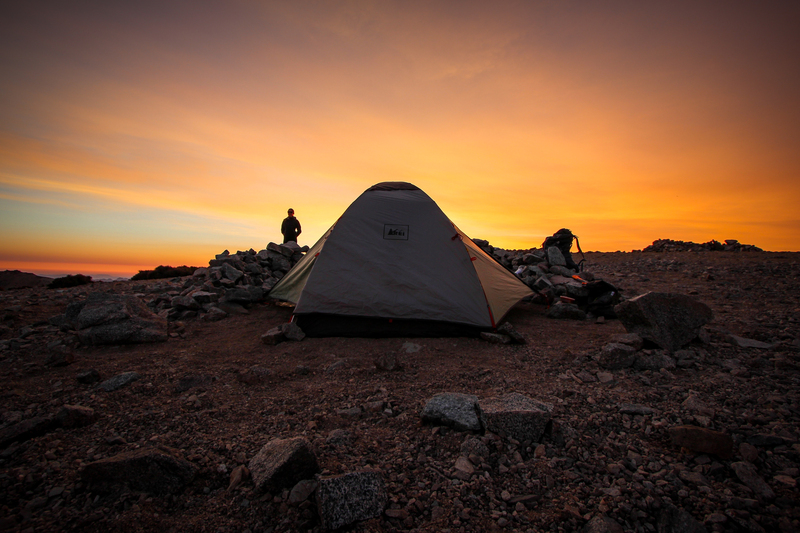 This week, we spent the night at the top of Mt. Baldy. Temperatures were in the high 90’s all around Southern California, so I figured the best way to beat the heat was at 10,000 ft. After work on Friday, we made our way up to the Manker Flats parking lot and hiked the Devil’s backbone trail to the summit of Mt. Baldy. The weather at the top was perfect, in the mid 60’s with a gentle breeze. Best of all, we had the entire mountain to ourselves. We only saw three other people while we were on top, one couple on my favorite kind of “date night”, and a solo hiker at 6:30 AM. We ate breakfast, packed up, and made our way down Ski Hut Trail around 7:00 AM. Through the first mile we passed all of the seasoned veteran hikers. On a day with temperatures close to 100 degrees, it’s best to get an early start. After that point, we crossed paths with the poor souls leaving later in the day. By 9:00, the sun was really starting to beat down, and I could see it on the faces of those we passed. In all, this was another great training hike. We’re one step closer to Peru!